- Please excuse any broken links/images. Site is being migrated to a new server. - Fan campaign to get '97 TV special on DVD! 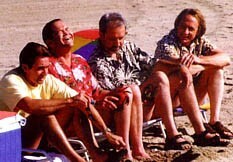 - Monkees on tour in 2011 for reunion! - Monkees CDs reissued by Rhino Records! To get all of the latest Monkees headlines, visit the news page. Thanks for visiting Monkeesrule43 Online, an official Monkees site that is your one stop on the web for MonkeeMania! Since its opening in May 2001, this site has become one of the most popular and frequently updated sources for Monkees news & information on the internet. Be sure to subscribe to our news & update email list and come back often to check out our newest features. Send a Monkees Internet Greeting Card Here! 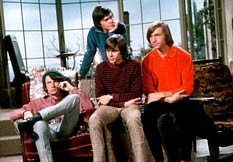 The "Monkees" name and logo are trademarks of Rhino Entertainment Company. Any unauthorized use of these trademarks is strictly prohibited and may subject the offender to civil liability and criminal prosecution. All photos are property of their respective owners / All content is © Monkeesrule43 Online unless otherwise noted. Didn't find the information you were looking for? Want to send comments or suggestions? Let somebody know about it!